Modern technology has made almost every aspect of our lives more convenient. We have devices in our pockets which keep us connected to the world around us, no matter where we are. Unsurprisingly, homeowners are taking advantage of smart technology to make household monitoring a breeze. If you’re interested in making your home a smart home, check out these four gadgets to help you along the way. In general, smart devices like the Echo/Alexa can help you monitor and control your TV, radio, and lighting. A simple command allows homeowners to listen to their favorite playlists, even when their hands are full elsewhere. Whether you’re in the middle of kneading dough or giving a muddy pet a bath, your smart home device has you covered. If you’re a homeowner with a yard, you might be concerned about how much water you’re using when it comes to caring for your lawn. The Orbit watering controller, monitors and controls how much water you use each day. The device is compatible with Alexa and it’s smart enough to turn the watering system off on a rainy day. Not only will the device help you save money on your utility bills, you’ll also be doing your part to help the environment. Keeping your property safe and secure is likely at the forefront of your mind, as it is for many homeowners. If you’re looking for additional safety measures to supplement your home’s door locks, you may want to look at the SimpliSafe home security system. There are several package options to choose from. They include security cameras, motion sensors, door alarms, and smoke/CO2 detectors. If you need extra sensors, there’s an option for that, too. To wrap your smart technology up neatly, there are devices you can use to control your indoor and outdoor lights, door locks, air conditioning unit, and much more. 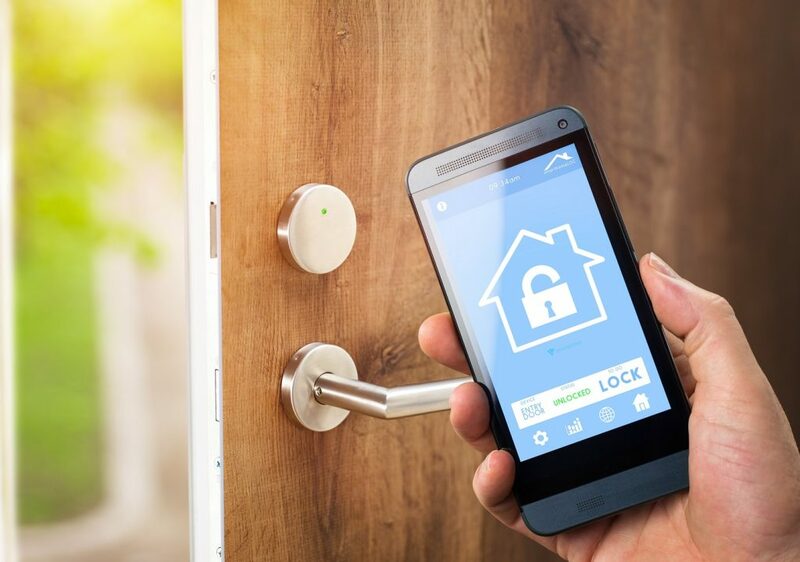 The SmartLock is one example of an additional device which works nicely with your other smart devices. The SmartLock controls the lock and unlock setting of your front door no matter where you are. It’s compatible with Alexa and can be controlled in real time at the touch of a button. For convenience, each of these devices connect to your smart phone, so you can have a control hub at your disposal. Monitor, enable, and change any part of your smart home system with a simple touch or swipe of a screen. Not only do you stand to add convenience to your life, you’re going to increase your home’s value simultaneously. If you’re looking to buy or sell in South Florida, we’d love to help you. We have over 18 years of experience selling in South Florida and $65 million in sales in 2018. We offer free home evaluations for sellers, and provide a great source for buyers to search listings that are up-to-date. If you have any questions about the neighborhoods, local market, or any other questions, give us a call at 561-951-9301. We look forward to the opportunity to help you!